Know those people who wake up in the morning and it looks like they just stepped straight out of a salon? Yeah, that’s not Us. Our bedhead is realer than real. Some parts of our hair are straight, some parts are wavy, some parts are curly, some are pointing down and some are mysteriously pointing in every other direction. Consequently, we need a little help. Heat tool help. 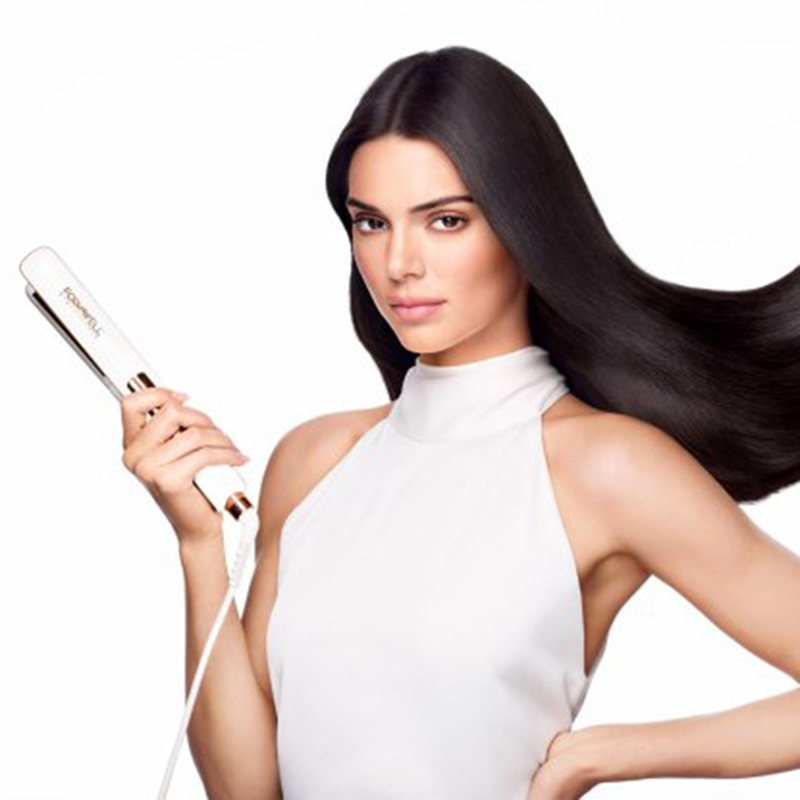 The Formawell Beauty x Kendall Jenner 1-Inch Straightening Iron is exactly what we’ve been searching for. This isn’t our first rodeo; we’ve owned a flat iron before. Our relationship with them, however, has been iffy at best. Many of them never get hot enough, or take forever to heat up in the first place. They squeak, the cord is too short, they’re hard to maneuver and we may have accidentally left them on a time or two and been concerned about burning our house down. We’d rather not have to worry about a fire just because we want to style our hair in the morning. With this Kendall Jenner collaboration, we may never face those problems again! See it: Get the Formawell Beauty x Kendall Jenner 1-Inch Straightening Iron for just $99 at Ulta Beauty! One shopper said that this is the only flat iron that actually successfully straightens their hair “without making it flat.” They said they would totally buy another one, but because of the high quality, they’ll probably never have to! Another shopper commented on how this straightener “heats up so fast,” so if we snooze our alarm a few too many times in the morning, we don’t have to waste time waiting for it to hit its top temperature. We’re obviously thinking about this straightener for us, but another shopper gave us an idea, saying they were going to buy a second for their mom for Mother’s Day! We’re sure our friends wouldn’t hate receiving this as a gift either. This flat iron uses Ionic-Gold Fusion to provide a “super-smooth” styling surface. The plates are made of 24K ionic gold, which claims to deliver high levels of negative ions. This means they’re not only pretty, but they may bring “unparalleled shine” and luster to our otherwise dull and lifeless hair. All without snagging and pulling out strands! Thinking stylishly, Formawell and Jenner brought the gold back in multiple spots around the straightener, accenting the white base for a tool we’d expect to see in a professional stylist’s hand. This straightener goes up to 450 degrees Fahrenheit, which is higher than many other popular straighteners that don’t go up past the 400 mark. The more heat, the more we may see frizz and static disappear after just a single pass! We can see the temperature on the digital LED screen on the handle area. We won’t be left guessing; it will tell us when it’s ready to go, using its far infrared energy which claims to result in “super quick” styling. Heat is never going to be the best for our hair, so the less time we have to spend going over one section over and over again, the better! Unlike other flat irons, this Formawell one actually has an automatic shut-off! The Intelligent Sleep Mode automatically turns the device off if we haven’t touched it for 60 minutes. We all just breathed a serious sigh of relief. No more calling our landlord or driving back to our house as soon as we get to work to make sure our flat iron hasn’t melted through our vanity! This tool is actually multi-functional. We can use it as a straightening iron, but we can also experiment by using it to curl or wave our hair instead! To curl, just clamp hair toward the ends, twist it around the 1-inch iron and let go after a few seconds! To go for a beach wave, we can clamp our hair closer toward our roots, at about eyebrow level, and slowly pull it down, switching between twisting the tool diagonally toward us and diagonally away from us as we hit each section. An underrated feature of a flat iron is a long, swivel cord, which this one has! This, plus its ergonomic design, round surfaces and cool tip, may make styling so much easier and, even better, pain-free! That goes for us with color-treated hair, too. This straightening iron is “upping the expectation for beauty products.” It’s a collab with Jenner, one of the world’s top supermodels and reality stars, so this comes as a surprise to no one. Now we just need to work on achieving that wind-blown effect in our hair while practicing our runway walk! Looking for something else? 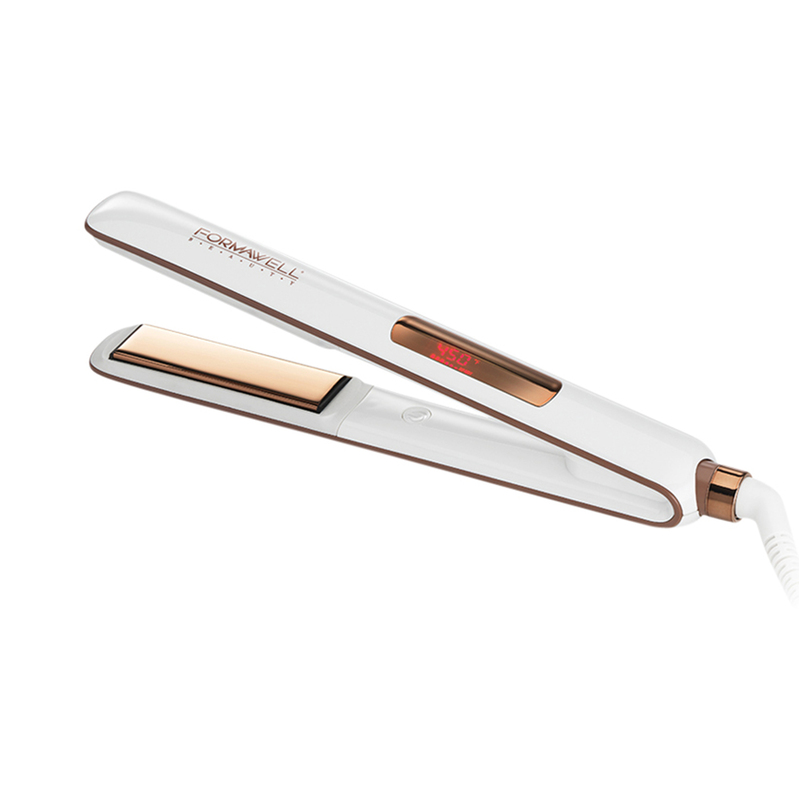 Check out more from Formawell Beauty here, more flat irons here and Ulta’s 21 Days of Beauty Sale here!